It's Wednesday, April 17, 2019. Let's start here. Hundreds of firefighters not only saved Notre Dame from a fire that left behind stonework around which the cathedral can be rebuilt -- they ensured that what belongs inside also can return. Many of them formed a human chain to rescue from the inferno the Crown of Thorns, the Tunic from Saint Louis worn by King Louis IX and major pieces of artwork, according to the city's mayor, Anne Hidalgo. Jean-Marc Fournier, chaplain of the Paris Fire Brigade, insisted on entering the cathedral to help save the crown and the Blessed Sacrament. "Something like a hundred of the firefighters that were involved were exclusively sent to save the relics," ABC News Foreign Correspondent James Longman says on "Start Here." French President Emmanuel Macron vowed on Tuesday night to rebuild the Paris landmark within five years as donations poured in from around the world. President Donald Trump just issued his second veto, rejecting the resolution passed by Congress to end military support for the Saudi-led coalition in Yemen. Several Republicans crossed the aisle in supporting the legislation, which is seen as a rebuke of the administration's cozy relationship with Saudi Arabia and general disinterest in pressing the kingdom for answers related to the murder of Washington Post columnist Jamal Khashoggi. Congress doesn't have the votes to override Trump's veto, according to ABC News' Conor Finnegan, who shares with us on today's podcast that lawmakers may take other action. "There's already a bill that bans certain weapon sales to Saudi Arabia and imposes mandatory sanctions on anyone found responsible for Khashoggi's killing, up to and including Crown Prince Mohammed bin Salman," Finnegan adds. 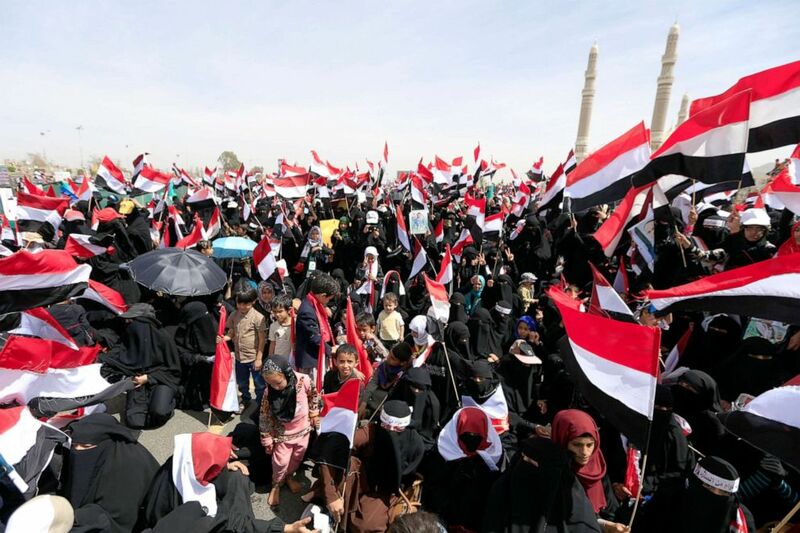 Supporters of Yemen's Huthi rebels attend a rally marking the fourth anniversary of the Saudi-led coalition's intervention in Yemen, in Sanaa, March 26, 2019. 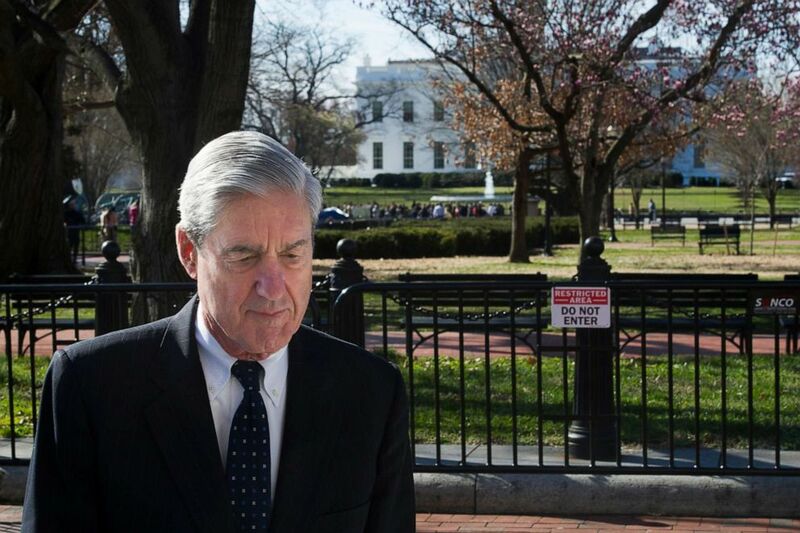 The redacted version of special counsel Robert Mueller's report is expected on Thursday, and the White House is preparing a robust response, sources tell ABC News. White House officials will review the findings and brief the president before press secretary Sarah Sanders releases a statement and staffers make the rounds on TV, presumably defending the president, sources said. Trump hasn't expressed concern over the report behind closed doors, but one source close to the president said the administration is bracing for a public relations hit. "Even if we're not talking about something that legally implicates the president," ABC News' Katherine Faulders tells us, "there could be embarrassing details." Presidential hopefuls are looking to recreate the success in the suburbs that helped Democrats reclaim the House in 2018, but the party's also battling a "cultural fissure," which FiveThirtyEight's Clare Malone examines in two cities near Cleveland. Shaker Heights and Parma long voted for Democrats, but the latter supported Trump in 2016. Malone describes on "Start Here" how the cities diverged politically and what Dems can do to win back similar Midwest suburbs with "union politics." 'What worries me most is our ability to address it in a systemic way that is scalable': Co-founder Jack Dorsey is asked more questions about why Twitter isn't doing better at most of the things. 'It is clear that this attack was meant to end the victim's life': A man posing as a deliveryman shoots a woman with a crossbow. 'The crimes allegedly began in the early 1970s and continued through the early 1980s': A 71-year-old man is charged with 100 rapes. Which NBA player literally gives his team the most value? : Different players, coaches, executives, fans and media members have different definitions. Don't tell Kim Kardashian West to stay in her lane. The entrepreneur and reality star spoke out on Monday, days after it was revealed she's studying for the bar exam while taking a four-year internship. "Last year I registered with the California State Bar to study law," she began in a lengthy post. "For the next 4 years, a minimum of 18 hours a week is required, I will take written and multiple choice tests monthly. As my first year is almost coming to an end I am preparing for the baby bar, a mini version of the bar, which is required when studying law this way." Kardashian West then addressed some of the nasty comments lobbed her way since her announcement. "One person actually said I should 'stay in my lane,'" she wrote. "I want people to understand that there is nothing that should limit your pursuit of your dreams, and the accomplishment of new goals. You can create your own lanes, just as I am. The state bar doesn't care who you are."